The Yakult Central Institute’s guiding principle is "the development of food, pharmaceuticals, and cosmetics that utilize beneficial microorganisms and have biological regulatory functions, based on the concept of preventive medicine" with the aim of realizing the Yakult Group's corporate philosophy of "We contribute to the health and happiness of people around the world through pursuit of excellence in life science in general and our research and experience in microorganisms in particular." 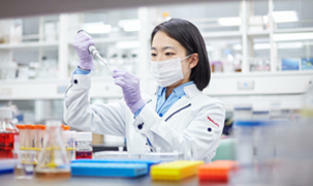 The Quality Assurance Unit has the duty of ensuring the credibility of various research data relating to the verification of safety and efficacy in product development from a third party perspective. In accordance with its Basic Policy on the Environment, which was enacted in 1997, the Yakult Group promotes environmental conservation in all areas of its business activities because one of the most important issues in operating in harmony with society is preservation of the global environment. In addition, we established the Basic Policy on CSR in 2012 and have worked to fulfil our social responsibilities through the conducting of business activities based on our corporate philosophy. In fiscal 2015, Yakult began systemizing its CSR activities based on ISO 26000, a global CSR standard. 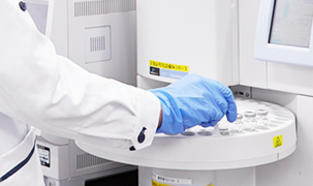 The Analytical Science Department ensures the safety and reliability of products and supports research and development efforts using our highly accurate proprietary measurement technologies. 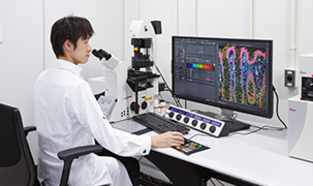 The Basic Research Department works to scientifically verify the concept that "a healthy intestinal tract leads to a long life" by elucidating the relation between intestinal bacteria and the physiology of the host, and supports research and development proprietary to Yakult at its foundation by creating product ingredient value in terms of preventive medicine. The Food Research Department evaluates the effectiveness of food ingredients and their nutritional functions, and conducts applied research based on bioengineering technology by using the company's research assets and results of basic research with the objective of developing new functional foods with high added value that can contribute to health and improve QOL. 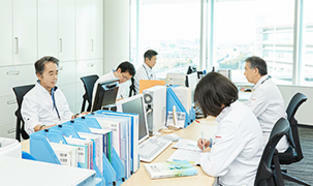 The Yakult Central Institute bases its research activities on "Shirota-ism," a philosophy comprising the following concepts advocated by Dr. Minoru Shirota, the founder of Yakult: preventive medicine, which focuses on preventing people from becoming sick; a healthy intestinal tract leads to a long life; and offering products at a price that anyone can afford. What kinds of lactic acid bacteria and intestinal microorganisms are there and how are they related to human health? We have produced a number of achievements over the years by repeatedly pursuing this question and applying it in our research, and our research activities are still ongoing. The Institute continues to treasure Shirota-ism in all of its activities. This philosophy lives on among our researchers as a foundation that supports development research at the Yakult Central Institute. 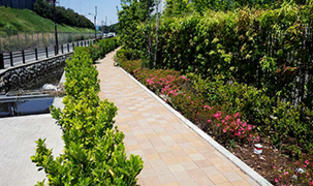 We introduce our main research achievements after 1967 when we relocated our research base from Kyoto to Tokyo.